10 ways to use social media to help you find the best holiday deals! The week before Black Friday we compiled a list of valuable social media tips to help shoppers make the most of sales season. Whether you’re doing some last minute Christmas shopping or simply looking for the best Boxing Day deals, those tips are just as valuable today. Social media can help you save yourself time and money, both of which you’ll cherish at this time of year. Create a list of the items you would like to buy. What are your ‘Must-Haves’, and what are your ‘Nice-to-Haves’? Are you shopping for gifts, or for yourself? Pre-Shop: Research the prices for your items. Having their retail price in mind will help so you don’t over-spend or impulse-buy on the big day. Pro-Tip: Use Evernote to keep your lists, prices and notes organized. Use Apps such as Instagram, TrendSpottr, Pinterest and StumbleUpon to find the latest trends for this coming holiday season and get gift ideas for your loved ones. List your favorite stores and brands you want to hit up in a Twitter list so you can monitor their tweets in one stream. You can watch for exclusive deals and compare their prices before you hit the pavement shopping. Follow blogs that are always on top of the best deals. You can also create an RSS feed for all the blogs you would like to watch. Use Google Maps and Hootlet to look up tweets around the shopping mall(s) you want to visit. Make your search specific. Create search streams: one for #HolidayDeals and for #BoxingDay. Geo-locate your search for the area you intend on shopping, and you won’t miss out on a single deal. Make sure you’re using one of our mobile apps. When you’re on the ground, keep following those hashtags, keywords and twitter lists you’ve set up with your mobile app. You’ll be able to listen to the masses, and know where to stay away from — crazy crowds and super long lineups? No thanks! Start the day with your phone 100% charged! And bring along your charger for back-up. You’re going to need battery power when you want to snap a pic to send to your brother to verify that you are, in fact, buying the correct PlayStation game for your nephew. Pro Tip: Want to find out what the action is like at the store? Do a geo-located search for tweets near that location and you’ll know what’s up. Use Foursquare to check in at locations to see if they provide a discount or offer. Also, you can use it before you arrive to learn more about the establishment. There could even be tips from others who have checked in before you! Exhausted from shopping? Yeah, I bet. Find the nearest place to eat by searching conversations on Yelp to see what others recommend in the area. 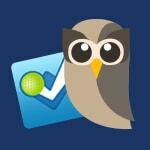 And a free trial of HootSuite Pro! 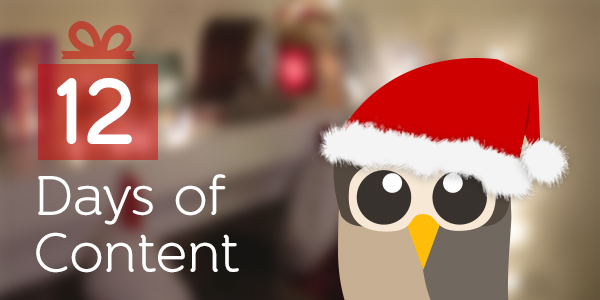 Stay tuned for the rest of our 12 days of content series! Janis is HootSuite's Marketing Automation Manager. She writes about ways to use technology to make your life and work easier.